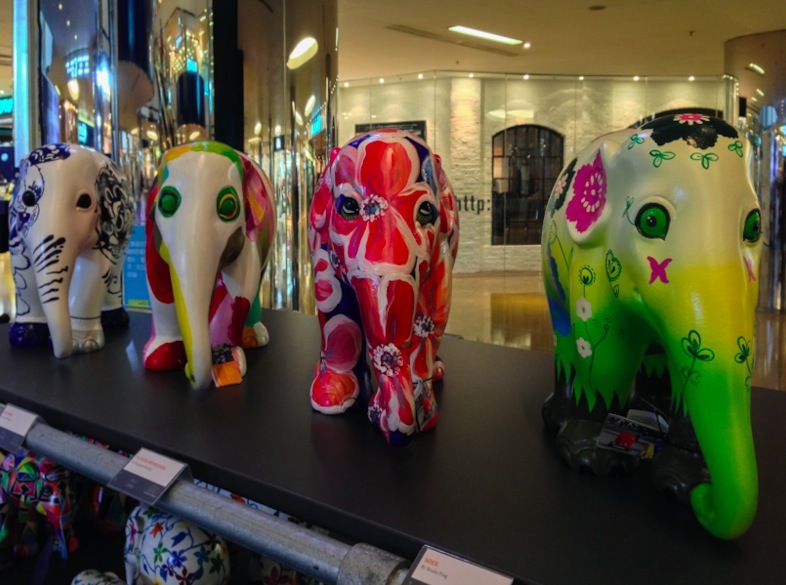 The title is slightly misleading – I didn’t actually see that many elephants at the Cityplaza shopping mall last Thursday (I saw more at Pacific Place the other day). That’s because the exhibition ended already on September 9. 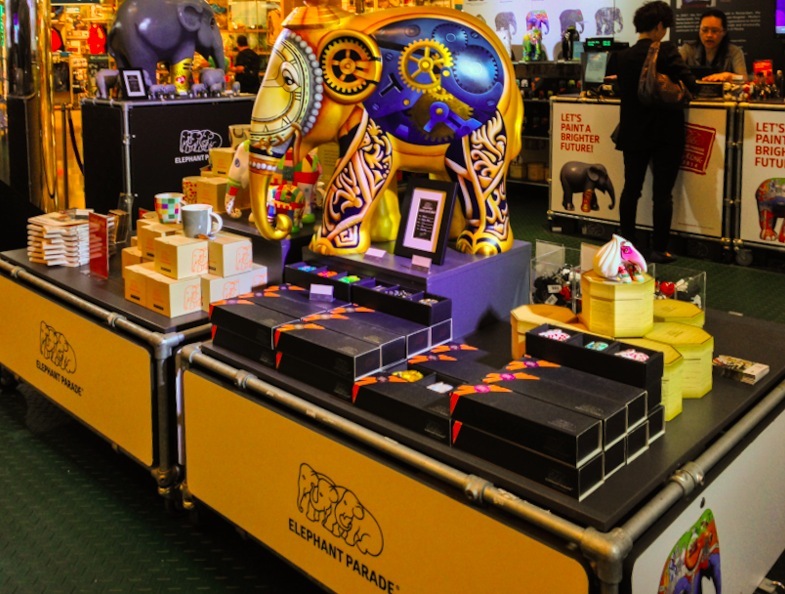 Instead, I spent more time in the shop, looking over all the different designs from the different Elephant Parades throughout the years. 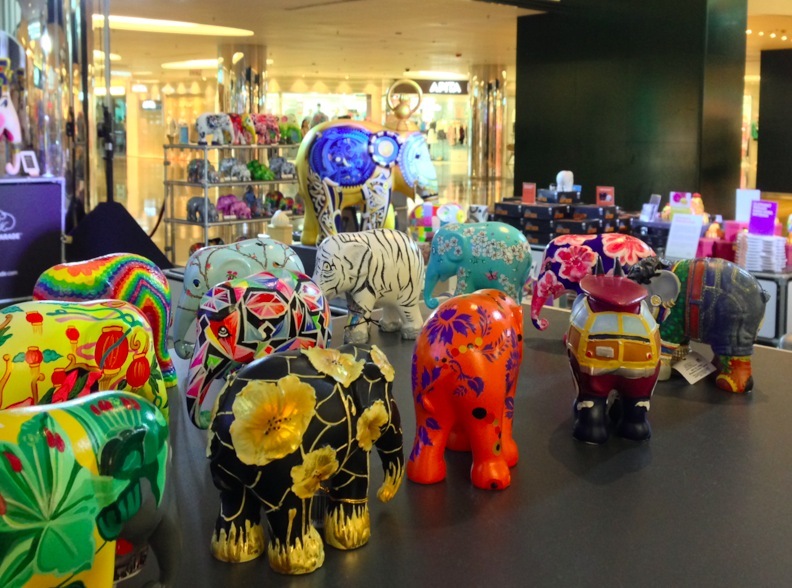 Anyway – this is the end of the Elephant Parade in Hong Kong. 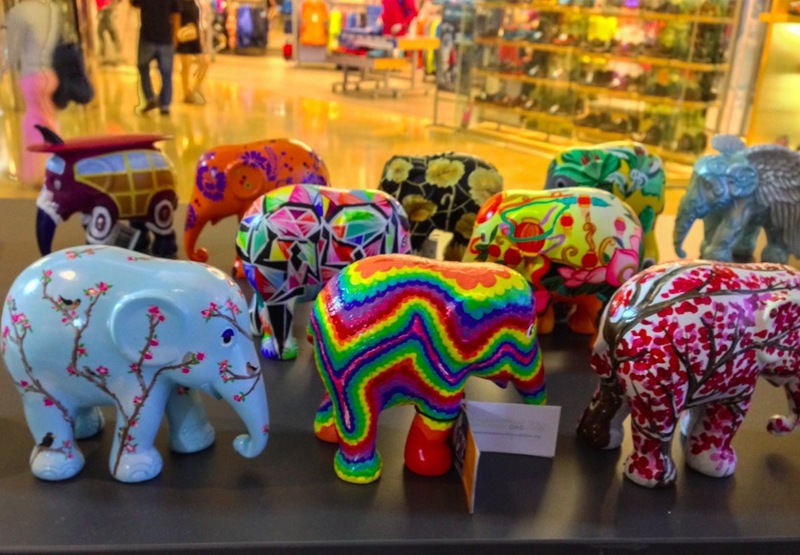 On September 11, a herd of 31 elephants was auctioned off to raise funds for the Asian elephant conservation. 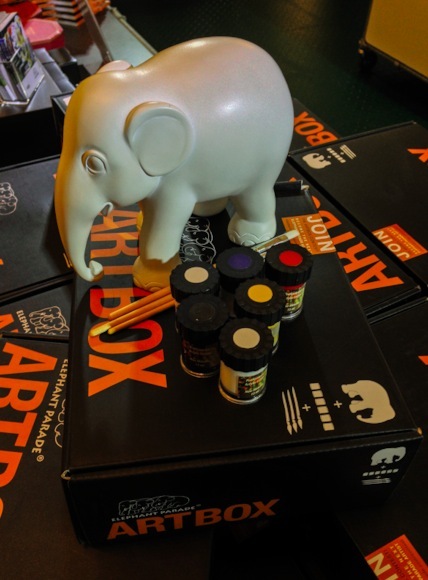 This raised HK$2,150,000 in total, and the net proceeds will go to The Asian Elephant Foundation and WWF Hong Kong, to support elephant conservation programmes in Asia. 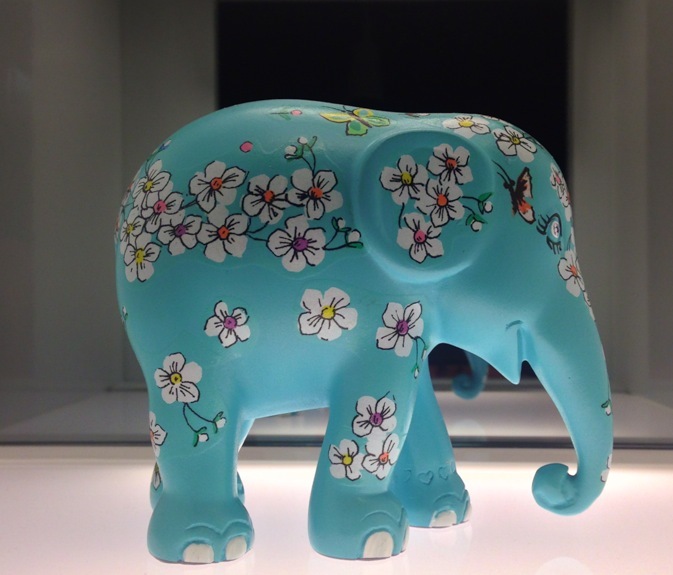 I did my little bit and brought this fellow home: He’s called ‘The Flower of the Mind‘ by Nawarat Rattanawan. I love the elephants! Esp. the last one you showed, light blue with little flowers! Isn’t he/she beautiful, well I love them all! You know just a short drive from Huntsville to Hohenwald, Tennessee, there is an Elephant Sanctuary. There they can live out their lives on 1000s of acres with ponds, and mud and trees. It must be a heaven for those poor animals that have been chained up all their lives and beaten and God knows what else was done to them. Thank you for showing them!